Good quality brushes are essential for almost any makeup look. This time last year, pre-beauty blogging, I was a total novice when it came to makeup brushes. I think I owned about four brushes from the likes of Bodycare, Avon or discount makeup stands. Good quality brushes were so expensive I just couldn't justify buying from the likes of MAC or Bobbi Brown. Then Real Techniques hit the UK, offering amazing quality, cruelty-free brushes for extremely affordable prices. All of the face brushes that I use on a daily basis are from Real Techniques, starting with the Buffing Brush from the Core Collection (£21.99). This flat-topped brush totally transformed the way I applied foundation. The bristles are densely-packed but soft and it buffs in cream or liquid base products to create a flawless finish. Also from the Core Collection, the Contour Brush is a great multi-use brush. I use this small tapered brush every single day to blend in my concealer. Paired with my Collection Lasting Perfection Concealer, this brush helps to cover any and all of my blemishes, without looking heavy or caked-on. The Contour Brush can also be used for precision application of highlighter, blush or to define the cheekbones. The Core Collection is a great starting point if you're yet to try Real Techniques - it also contains a lip brush (which I sometimes use) and a pointed foundation brush (which I never use) - but for the Buffing Brush and Contour Brush alone, the £21.99 is so worth it. I also use the Real Techniques Powder Brush (£12.99) every day for a light dusting of setting powder. This brush is huge and the bristles are so soft and fluffy that powder never looks overdone or cakey. Though I used to think that the Real Techniques Blush Brush (£9.99) was too big to be used for it's assigned purpose, I've actually started using it every day to lightly dust powder blush onto the cheeks. It's slightly tapered and again very soft and fluffy so you need to build up the colour if you like stand-out cheeks, but for an everyday subtle flush of colour, this brush works perfectly. Some people also use this brush for contouring, but since I have quite a small face, I prefer to use a smaller, more precise brush for that purpose. If I'm using cream blush products, I swap the Blush brush for the Stippling Brush (£11.99), which works amazingly well with cream/liquid products, but for Autumn/Winter I've rediscovered my love of powder blush. For eye makeup, the two essentials necessary to create a basic or smoky eye look are a base shadow brush and a fluffy blending brush. For applying my base eyeshadow, I use the Crown Chisel Pointed Fluff C209 (only £3.09) which is great for packing on colour. The slim shape also makes it easy to get right into the corners and crease of the eye. This brush is dense enough that it doesn't take several layers to build up colour and the sleek matte black handle and silver ferule are reminiscent of MAC's brushes which are about £15.00 more expensive. Finally, the one MAC brush that I couldn't be without is the famous 217 Blending Brush (£18.00). This is THE brush for creating the perfect smoky eye. It's fluffy, dense bristles make blending shadow into the crease and outer corner of the eye completely fool-proof. I can create so many different eye looks with these two brushes alone. All of these brushes are staples in my collection. They wash really nicely, hold their shape and do their individual jobs perfectly. What are your top three must-have brushes? Real Techniques brushes sound so amazing! I would love some Mac brushes! Wow I want all the brushes.. love all of them! Plus you look super gorgeous hun~ I've just followed you on GFC, looking forward to your next post love!! Those brushes look really soft and fluffy!! My brushes aren't very good, I need to stock up haha. 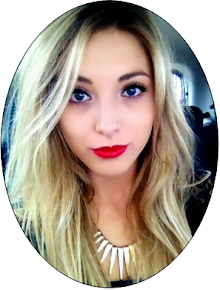 Just found your blog and I love it, you're also soooo pretty! I'm a new follower! I love real techniques brushes i've owned them for a while now and they're going strong! so happy I found your blog would make my day if you could check mine out too! These brushes are lovely, my favourite is MACs square foundation brush which you can use for a really dramatic effect when applying eve shadow for a night out. It's so versatile! I love them!! They are so soft and fluffy!! I only have one from the whole collection though i thinking to stock up during the sales!! Thanks for sharing!! This post is awesome!! I've recently started writing my new blog as I would love to get into journalism!! Hey just came across your blog! Love the real techniques brushes too! swing by my blog too check it out! Guess I have to change my make-up brushes...thanx for interesting post! I’d love for us to keep in touch via bloglovin’, GFC, or Instagram! Let me know on my blog, I’ll be sure to follow you back! Ehh i need new brushes :( Great post btw! Your blog is super sweet. I really like the brush display! Love the real techniques brushes as good as MAC! Just followed you would love for you to follow me back. Looks great!! My sister has new ones too, but I forgot the brand. I always bought those cheap ones but they just don't work as good as professional ones like these.